Enyimba have an impeccable defensive record in their last five - not conceding in any. Strikers on the Enyimba payroll must sit up and start justifying the wages they are been paid. 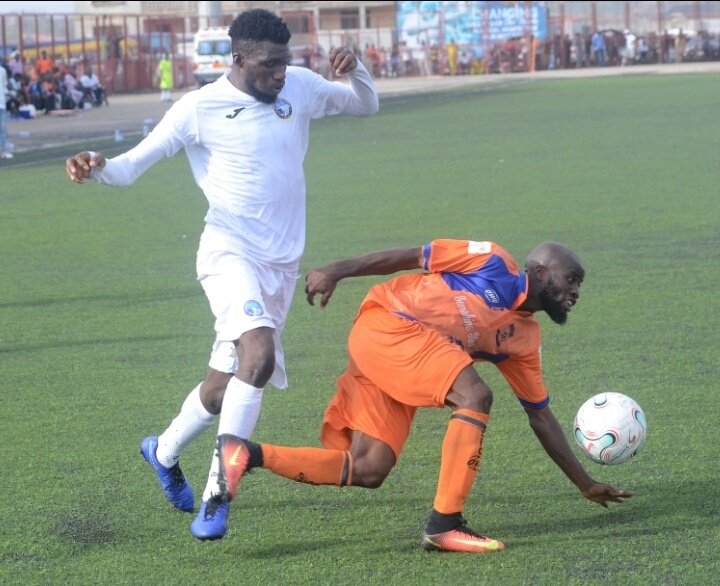 This is the submission of Enyimba technical adviser, Usman Abd'Allah after his team played a barren draw away to Sunshine Stars in one of the matchday 11 games in the Nigeria Professional Football League. The draw, Enyimba's third in the last five, leaves the seven-time champions second in group A with 16 points. Speaking post match, Coach Abd'Allah expressed mixed feelings about the result. He said: "It is a kind of bitter, sweet, sour kind of emotion; but I'm happy with the draw. The most important thing is to pick something up because we were coming down to get the three points or just get something and take back home. We were not able to get the three points but at least we got a point which means we are at least one step ahead. "It is these points, whether it is one or three, that will qualify us. As I said, the most important thing is to qualify for the playoffs. It doesn't matter if we are first, second or third; the most important thing is to qualify and that's what we are trying to do now." The seven times champions have, however, failed to score in three of those, and Abd'Allah admits that there's is still work to be done. "Now we have to go back again and start scoring again because at the beginning of the season we were scoring and conceding then we came back not scoring and not conceding. "The defence is doing well but we still have to get some bite in the attack because we only have Bashir (Abdulrahaman) with four goals and Mustapha with one and three assists, so we need our strikers to keep on scoring goals. They have to keep on scoring goals. The defence is a little bit stabilised, but still we have a lot of work to do in defence."